Although today the canals of France are chiefly the domain of hotel barges and towpath cyclists, this complicated system of inland waterways was designed and built for trade. 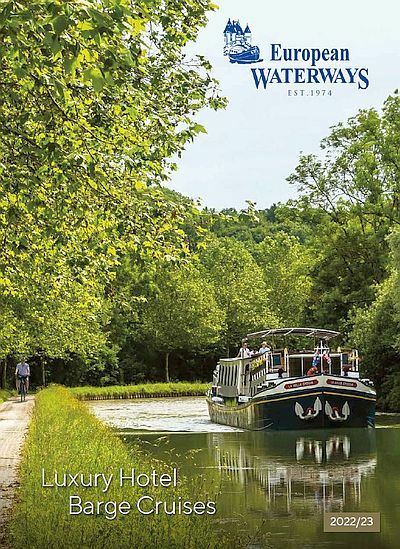 The Canal du Nivernais – the setting for our Classic Cruise of Burgundy aboard L’Art de Vivre – has a fascinating industrial history. The canal was originally constructed in order to transport firewood from the forests of Morvan to the French capital. Up until this point logs were floated along the River Yonne using a system of flottage du bois. However, as Paris grew larger and demand increased, there was a need to transport timber over greater distances. Originally a project was started to extend the “floatable” section of the river to the forests of Bazois by cutting a small channel under the hills of La Collancelle, through which timber could be floated. However, at a time when canal building was at its zenith, the project soon grew to involve building a proper navigable canal. Work started in 1784 and was finished 60 years later in 1841. This turned out to be an excellent decision, as the flottage method of transporting timber was made illegal in 1881. With the help of the canal, the wood trade flourished in this area of Burgundy, providing its main source of income until the 1920s, although other goods such as charcoal, stone and wine were also transported along the waterway. Guests on a barge cruise today can sit on deck and watch the rolling hills of Morvan and the lush meadows of Bazois pass by, which serve as reminders of the logging heritage of the region. The medieval town of Clamecy was the epicentre of the timber industry in the nineteenth century; visitors can find out all about the “infernal descent” to Paris that the rafts of logs would take at the town’s Romain-Rolland Museum. Wine, weather, history and cuisine, Burgundy has it all.